This flavour is perfect for that beachy-vacation vibe. Escape with a single taste of this delicious soothing flavour to cure any sadness! A forbidden melon topia with papaya! Mouth-watering combination of Cantaloupe, Honeydew, and Melon to create one amazing summer vape. A smooth blend of raspberries with a mouth puckering sour apple! 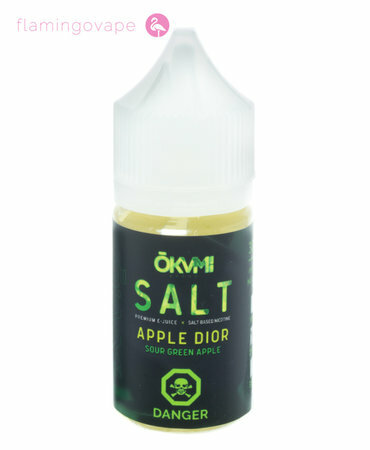 Apple Dior provides your favourite green apple with the mixture of a chewy bubblegum into a perfect blend!